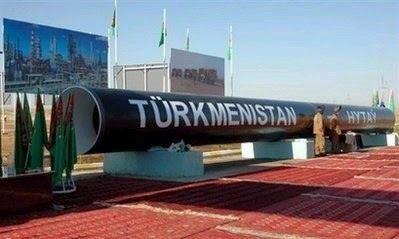 Turkmenistan's president has demanded that construction work begin in 2015 on a pipeline that will carry natural gas from his energy-rich country to Afghanistan, Pakistan and India. Gurbanguli Berdymukhamedov said all the agreements required for the project's launch should be completed this year, state media in the Central Asian nation reported Friday. A memorandum of understanding between the four countries linked by the TAPI pipeline was signed in 2010 and a supply deal was completed in 2012. 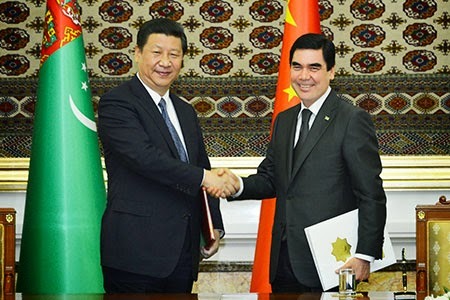 A meeting of businessmen from Turkmenistan and China was held on March 24 in Beijing in order to expand and strengthen economic and trade cooperation. The event was organized by the Embassy of Turkmenistan in China, together with the China Committee for Promotion of International Trade, the People's Daily Online reported. The main objectives of the forum is to attract potential investors and partners for joint projects, exchange of ideas and experiences in economic and trade fields. China’s importance as a trading partner, investor, and financer of infrastructure projects in the Central Asian region is rapidly rising. After a decade of rapid growth, Chinese trade with Central Asia has grown to levels commensurated with the region’s trade with the Russian Federation, finds the paper titled “Central Asia Trade and Human Development” released by UNDP on April 8. In terms of trade flows, there are obvious complementarities between Chinese manufactured exports and Central Asian comparative advantage in the primary products that China imports. Russia said on Wednesday it was close to signing a deal to sell natural gas to China, a long-sought agreement which President Vladimir Putin could use to show Western sanctions over Crimea cannot isolate his country. President Vladimir Putin told his security chiefs on Monday to ensure Russia does not follow what he said was Ukraine's example by letting the West use local civil rights groups to foment unrest. “The warlords have been eliminated and armed gangs wiped out. The militants have no social base inside Chechnya they might rely on. In a situation like this the police should be aware that the nature of their work and of their tasks is changing. It’s time to get used to a peaceful life, to pay more attention to theory. As for practice, they have had enough of it,” Kadyrov said. "Salafism in Central Asia is linked with a number of groups abroad. 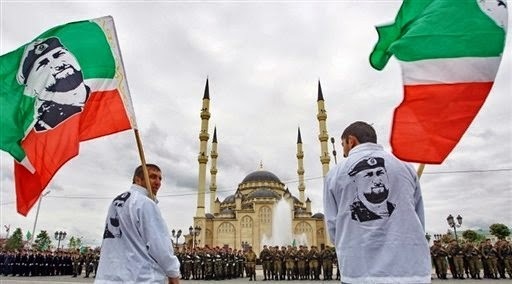 And as regards the Turkmen Salafis, they found themselves in the focus of attention of analysts only last year, when it became clear that the Turkmen Salafis are fighting in Syria and that there many of them there. There are 190 Tajik Salafis in Syria, and the number of Turkmen Salafis in the country is much higher. And they have contacts with both the Caucasus and Turkey. And as regards Tajikistan, it has established direct contacts with Saudi Arabia and Qatar, while Kyrgyzstan has close contacts with Pakistan’s Karachi." Russia intends to deliver gratis military equipment for Tajikistan and Kyrgyzstan for several billion rubles in total, in next few years, Deputy Minister of Defense of Russia Anatoly Antonov said. At the same time, he did not elaborate on what kind of military equipment will be delivered and the amount of the delivery. The Bishkek protesters called on President Almazbek Atambaev to revise plans to allow Russian companies to take over the transit center at Manas airport after NATO troops withdraw from Afghanistan later this year. 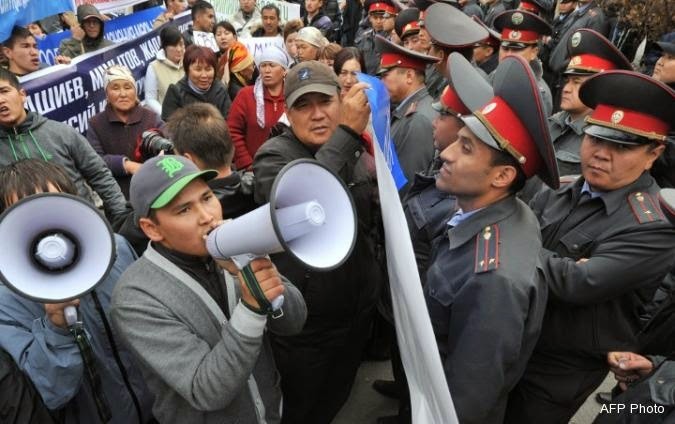 The opposition held similar protest rallies in several other towns and cities across Kyrgyzstan. They are demanding that presidential powers be limited, that deals on Kyrgyzstan's joining a Russia-led customs union be revised, that a jailed former parliament speaker be freed, and that a major gold mine be nationalized. Kyrgyzstan is increasing the number of border guards on the border with Tajikistan and Uzbekistan, State Border Service Chairman Raimberdi Duishenviyev said at the meeting of Ata Jurt faction on April 11. “The latest conflicts on the borders showed our special task forces are ready to give rebuff and to protect the border, but we are increasing their numbers stepping up security measures,” he explained.